Russia's current controversial involvement in the Central African Republic (CAR) began in 2017, when a team of Russian military instructors and 170 "civilian advisers" were sent by Moscow to Bangui to train the country's army and presidential guard. Shortly after that, nine weapons shipments arrived in the CAR. Still, Russia remains a major power in global politics. 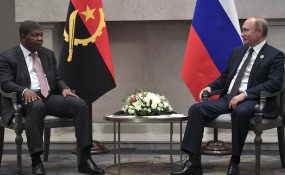 For African leaders, the key word is agency and the question is how to play the renewed Russian attention to their countries' advantage, and not to fall victim to the contemporary "geopolitical chess" game played by the major powers on the continent.